Humans make frequent eye movements—about three to four times per second. Eye movements create changes in sensory input that the visual system should dissociate from changes in the outside world. Still, visual perception is introspectively undisrupted, but appears continuous. It has been hypothesized that the visual system anticipates the sensory changes based on a predictive signal from the oculomotor system. However, psychophysical studies suggested that this anticipation develops slowly: too slow for natural vision. Here, we examined the speed of this anticipation more closely using psychophysics and a motion illusion. We observed fast anticipatory updating, quantifiable in human behavior. 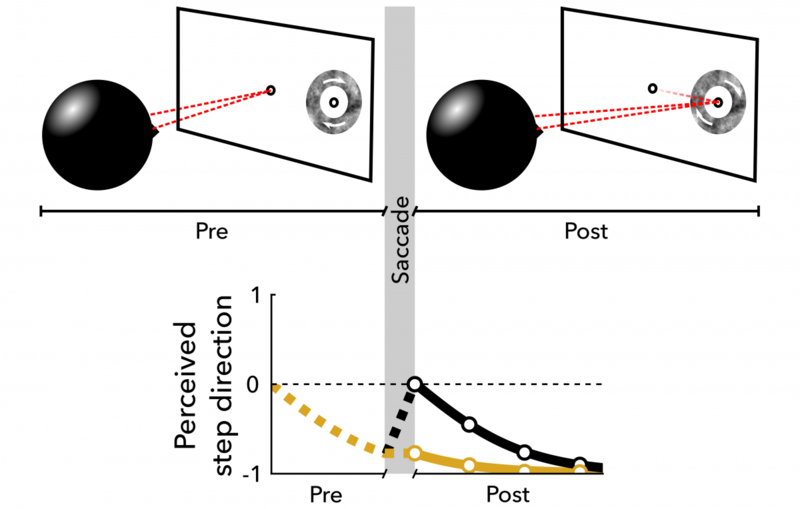 The time scale at which the anticipation is reflected in behavior is compatible with typical fixation durations in natural viewing.